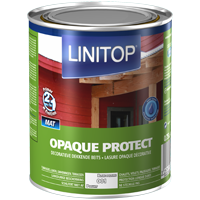 Outdoor water-based opaque woodstain, for wood with variable dimensions. 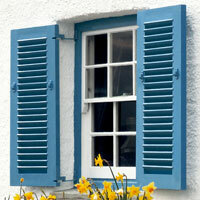 Ideal for weatherboarding, chalets, terraces, shutters, door and window frames,... “Deep matt” appearance. 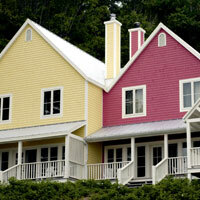 Decorates and protects wood, long term. Extra flexible film. Adapts to the dimensional variations of the wood. Can also be applied to horizontal surfaces (terraces). Excellent abrasion resistance. Great ease of application without any repetition. Coniferous wood, broadleaved wood, tropical hardwood and thermo-treated wood. New untreated wood or old wood. Always apply Opaque Protect in the direction of the wood fibres. On new wood or wood made bare, that is not durable and has not been treated with a preservative, it is recommended first applying an insecticide, fungicide and anti-blue stain agent. Consult us. During application, pay particular attention to grooves and butts. When applying by spray, always back-brush or back-roll to avoid runs and aid penetration of finish. Recoatable: 3 to 4 h.
Cleaning of the tools : Water + detergent.